Fleas! These blood-sucking parasites thrive in the wet spring months and warm summer months, but can appear at any time of year. Once fleas appear, getting rid of them can be a tedious and ongoing battle. At Wondercide, we strive to arm you with flea control that actually works and is safe for you, your pets, and the environment. When armed with the right knowledge and proper tools, you’ll be able to eradicate fleas safely! There are three battle grounds in ever war against fleas: your home, the outdoor environment, and your pets. Fleas have a number of strategic advantages in this war, so it’s helpful to know your opponent. P.S. : We’ll show you your superior weapon against fleas at the end of this article! What is Your Best Weapon Against Fleas? Click here to find out! Fleas can jump 4 to 5 feet horizontally, and close to 1 foot vertically. These tiny, hard-shelled insects have incredible muscle power in their back legs. Given fleas’ speed and agility, it’s easy to see why getting rid of fleas can be hard. Fleas are hardwired with three basic objectives—survive, eat, and reproduce. Unfortunately, fleas are very, very good at all of these objectives. Take reproducing, for example: An adult female will lay roughly 20 eggs at a time and may produce hundreds or even thousands of eggs in her lifetime. Depending on living conditions, female fleas can live up to 1.5 years. Female fleas typically lay their tiny, white eggs in damp, dark places. If she lays any flea eggs on your pet, your pet could give them a free ride around the house or yard, where they will then fall off and into your carpet, furniture, or lawn. After scattering around your home or lawn, the eggs will begin to hatch in about a week. Hatching may be delayed until conditions are ideal. Once they hatch, fleas become larvae. Then the larvae spin cocoons and crawl inside in order to develop into pupae. Development generally occurs within one week, flea pupae can survive in their cocoons for 6 months if necessary. Learn more about the flea life cycle here. For every adult flea you see, there is likely a minimum of 10 cocoons, 35 larvae and 50 eggs hiding in your home and lawn. Only one in 100 fleas can be spotted with our naked eye! Because fleas in various flea life cycles can hide in plain sight, getting rid of fleas means you should treat carpets, pet beds, cracks, corners, and furniture inside the home. We recommend using a natural product like BioDefense inside your home. Then, in order to keep the lawn and garden free of fleas, treat outdoors on a regular basis. When fleas bite an animal to feed, they inject blood thinning compounds, which prevents blood clots from forming during their feeding. This is why flea bites itch! The flea’s bite itches, and also causes you or your pet’s immune system to react. Essentially, fleas cause a mini allergic reaction. 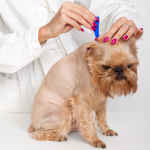 One of the most common skin afflictions pets suffer from is flea-allergic dermatitis. Just one flea bite can cause a massive and prolonged reaction in allergic animals. Many pet owners may think this reaction is itchy canine skin. In actuality, it is an allergic reaction. We recommend using Wondercide Flea & Tick Pets + Home™ to eliminate all 3 problems—flea bites, flea allergies, and dry skin. Fleas can also transmit tapeworms and diseases such as bubonic plague, typhus, Lyme disease, and Rocky Mountain spotted fever, which are all very dangerous. Fleas can easily adapt to famine conditions. Just one blood meal can keep an adult flea alive for two months. Imagine staying alive on less than one meal a month! Most conventional pesticides, including bug bombs and sprays, are only formulated to get rid of adult fleas, and sometimes flea larvae. No pest treatments, besides Wondercide products, are formulated to treat all stages of the flea life cycle. This is why pest control service companies come back for second, third, or even fourth treatments, and why most over-the-counter do-it-yourself products don’t actually solve your flea problem. These treatment methods leave thousands of flea eggs and pupae unharmed, so these baby fleas are just waiting to hatch and wage war on you and your pet once again. Now that you know why getting rid of fleas can be so difficult, we want to arm you with the most effective solution. 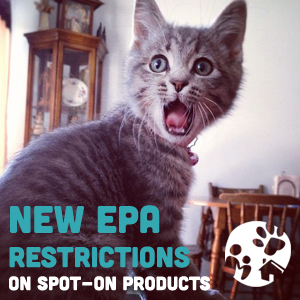 Make sure you choose a product that is formulated to treat all flea life cycle stages—egg, larvae, pupae, and adults. 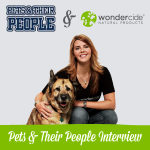 We make sure all Wondercide natural pest control products eliminate all flea life cycle stages. We’re on your side! Check out the 3 step system below, which includes everything you need to treat your pet, your home, and your lawn or garden. Be sure to clean lint vents. Lint vents can be a breeding ground for fleas!